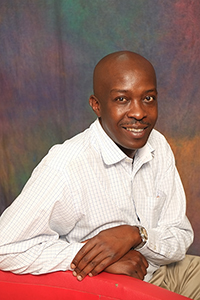 March 2016 – Cathexis Technologies, one of the leading IP Video Management Software Developers in the global security industry, is continuing its expansion into African markets, through various strategic appointments at its subsidiary, Cathexis Africa (Pty) Ltd.
Cathexis Africa is pleased to announce the appointment of Albert Abincha, as Account Manager: East Africa at Cathexis Africa in Nairobi, Kenya. With more than 16 years of experience in the technology and security industries, Albert will play a crucial role in Cathexis Africa’s east African growth strategy, which aims to introduce the Cathexis brand to a wider range of African markets. “With economic development in East Africa continuing to grow year-on-year, Cathexis is seizing the opportunity to establish a strong presence in this region and grow the brand’s reach,” says Emmanuel Shiri, Business Executive: Africa. “Albert’s role in Kenya will be to establish relationships with key partners, distributors, systems installers, and end-users to bring Cathexis closer to its customers and the market,” he added. Cathexis Africa is strengthening its commitment to working more closely with various channel partners to adequately support new market requirements. “Cathexis has identified several security challenges in the east African region which we believe our IP Video Management Software solutions can adequately address,” adds Gus Brecher managing director of Cathexis Africa and business development director of Cathexis Technologies. “The need for high-end, integrated surveillance solutions, such as those that have been pioneered and developed by Cathexis Technologies for the past two decades, opens the door to new business opportunities in a previously untapped market,” he concluded.